Generally all keys will have some sort of identification on them, normally a manufacturer name and quite often a key reference. The key reference can be entered into our search facility on the left hand side. 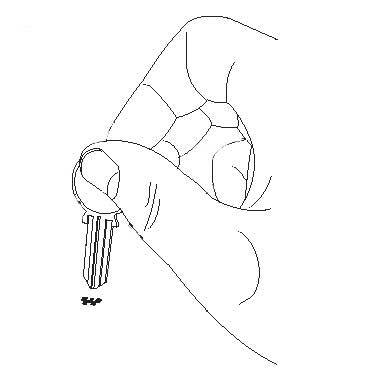 To accurately identify the correct blank that you require, place the tip of the key over the end profile drawing and look down the key, the drawing shows an image of the end profile. If you have a key number we can supply you with a cut key, if not send us images of each side of the key, quite often we can cut keys from images.